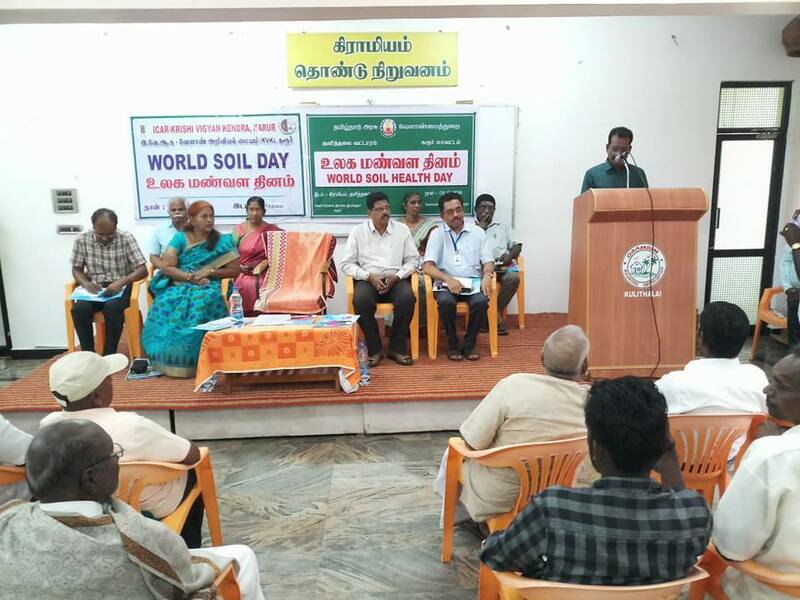 World Soil Day programme conducted in 3 locations jointly with Agriculture/Horticulture Departments. District level programme conducted in Kulithalai in which District Collector presided. RDO, JDA, DDH, Director IOB RSETI, officials from Agri, Hort, Agrl Engg, Agribusiness, Sericulture, Animal Husbandry participated spoke about soil health and schemes of their respective departments. ICAR NRCB Principal Scientist (Soil Science) Dr. K.J. Jeyabaskaran acted as guest faculty. Block level programmes conducted at Kadavur and Veernampatti. Total Soil health cards 130 distributed. Exhibition on soil health, mini soil lab arranged. 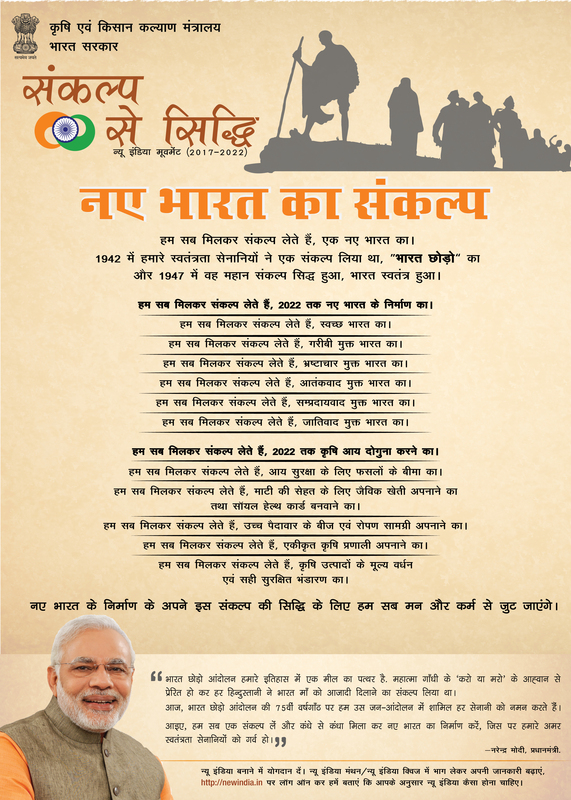 Booklet on problem soil management and leaflets distributed. 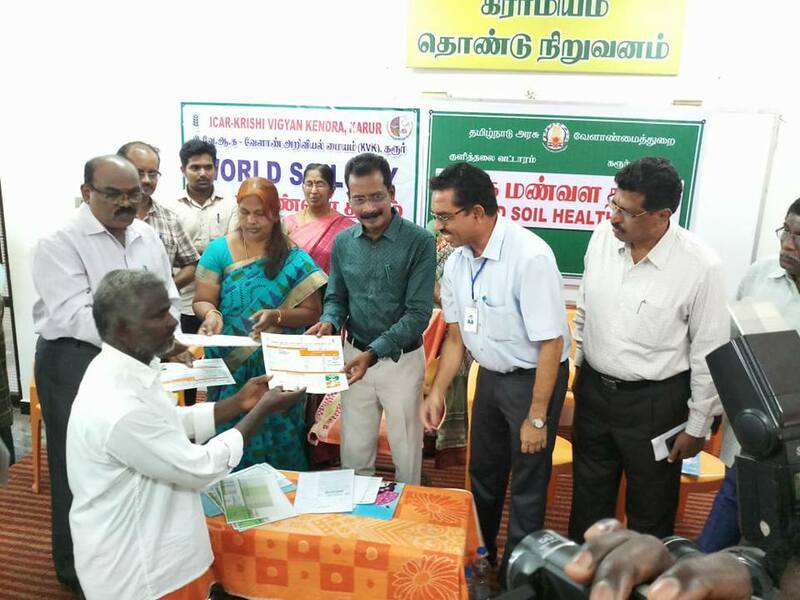 Farmer Innovator Shri S. Duraisamy spoke about weeders.